Renault have been building a buzz and promising a new Alpine sports car for a few years now and with the launch of their Alpine Celebration concept at Le Mans last weekend, it looks like a new Alpine sports car is moving from wish-list territory to becoming a reality. 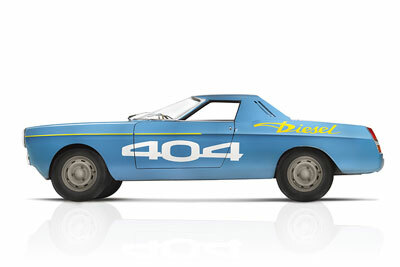 Built to celebrate the 60th anniversary of the Alpine marque, with styling that unashamedly echoes past Alpine greats. While Renault are keeping the cars technical specification well and truly under wraps right now, the mouth-watering prospect of a modern-day A110 is something car enthusiasts can get very excited about indeed. 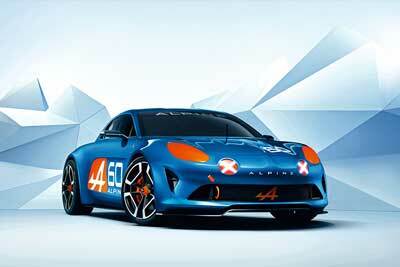 Alpine will have many cars from its past on display at FoS including – the A106, A110 and Alpine Celebration. Many of these will run up the hill on Friday in a single celebratory parade, while Lord March will get behind the wheel to drive the Alpine Celebration Goodwood up the hill in the first run to open this year’s Festival of Speed. 3 new Audi cars will make their UK public debut at FoS next weekend. 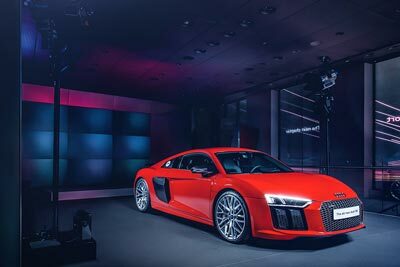 The new R8 super car, RS3 Sportback and Q7 SUV (which visitors will be able to drive on a off-road course). Fresh from Le Mans last weekend, Audi will have their R18 e-tron LMP1 car in action on the hill, with star drivers Benoît Tréluyer, André Lotterer, Oliver Jarvis. Delving deeper into Audi’s motorsport history book, rally legend Hannu Mikkola will be attacking the hill in the fearsome Audi Sport quattro S1 Group B rally car, while Pink Floyd drummer Nick Mason gets behind the wheel of the incredible 1939 Auto Union Type D twin-supercharger. 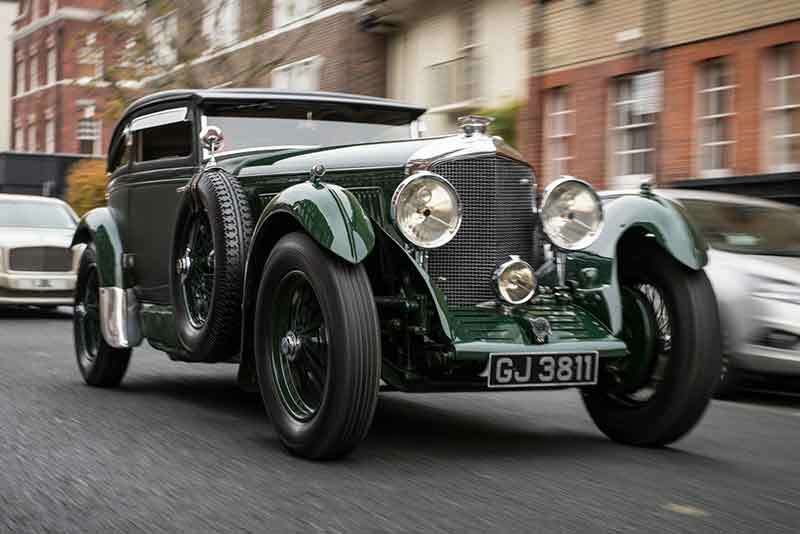 In 1930 Barnato, then Chairman of Bentley Motors, accepted a wager that not only could he beat the Calais-Mediterranée Express (or ‘Blue Train’) from Cannes to Calais, but that he could also be at his club in London before the train even reached the Channel. 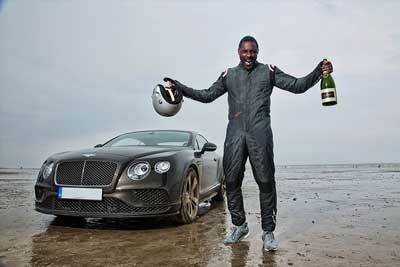 He accepted and won (of course) and the remarkable victory has resonated with Bentley and car enthusiasts ever since. Also on the hill and bringing the Bentley Boy spirit up to date is the new Continental GT Speed which broke the Flying Mile land speed record in May this year. Actor Idris Elba, who played Nelson Mandela in the award-winning Mandela: Long Walk to Freedom, drove the Spectre GT Speed at Pendine Sands in Wales, breaking the historic ‘Flying Mile’ UK land speed record set by Sir Malcolm Campbell in 1927. Both the Continental GT Speed and the incredible 1930 Blue Train car will be joined on Goodwood’s hill by racing Bentleys past and present, from the iconic 1929 4 ½ Litre Blower, to the modern Continental GT3 racer and the road car it inspired, the Continental GT3-R.
Ferrari have announced an action-packed schedule for prancing horse fans at FoS, which includes the debut of their new 488 GTB super car, as well as the mighty, track-only, FXX-K. 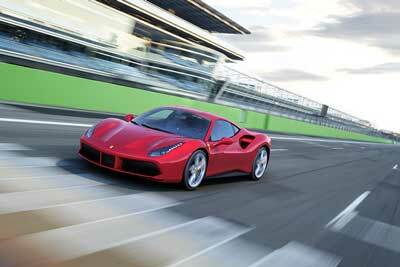 The 488 GTB is Ferrari’s first mid-engined twin-turbo V8 since the iconic F40 and will be taking part in the Michelin Supercar Run, alongside a Ferrari California T, F12berlinetta, LaFerrari and the F12 TRS. The Scuderia Ferrari racing team will also be on hand to demonstrate a 2010 Ferrari F10 Formula 1 car driven by ex-F1 driver, Marc Gené. One of the biggest draws for Ford fans will be the new Ford Focus RSwhich will be demonstrated in public for the very first time on the Goodwood hill by none other than Gymkhana and World Rallycross star Ken Block. Developed by a team of Ford Performance engineers in Europe and the USA, following the cars launched in 2002 and 2009, the new Focus RS is the third time the Focus has worn the coveted RS badge (and the 30th car to wear the legendary RS badge). The car is powered by a 345bhp, 2.3-litre EcoBoost engine from the all-new Ford Mustang . The new Focus RS is one of 12 new performance cars Ford will release between now and 2020. Deliveries start in Europe from early 2016. Honda have their all new NSX super car (expected to arrive in UK showrooms at the end of the year) and Civic Type R in action on the hill. 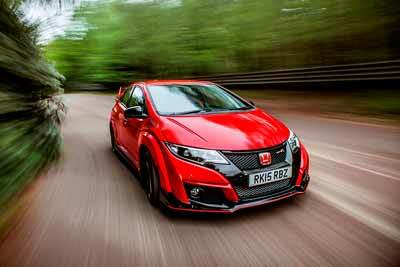 Honda is also running a competition to get behind the wheel of the Civic Type R at FoS. The new Civic Type R puts over 300bhp through the front wheels and has a top speed of 167mph. Jaguar will debut four new cars at FoS 2015. First up is the world premiere of the recently announced, face-lifted Jaguar XJ range. This will be marked by the appearance of a one-off special, the Jaguar XJR Rapid Response Vehicle (RRV) for Bloodhound SSC. Jaguar are (quite rightly) making a noise about their role as technical partner on the Bloodhound Land Speed Record attempt and visitors on the Saturday morning (27th June), the XJR RRV will be piloted by Bloodhound SSC driver, also currently the fastest man on Earth, Andy Green. The Jaguar RRVs will be joined on the Goodwood Hill by the first production F-TYPE Project 7 and a selection of famous classic cars from Jaguar’s heritage cars including the XJ13, Group 44 E-type, Long Nose D-type, TWR XJS and Broadspeed XJ12C. On the Jaguar stand visitors will be able to try out the new Bloodhound SSC driving experience. The face lifted XJ will make its international debut and there will be the chance for Jaguar fans to see the all-new XF executive saloon for the very first time..
Top billing for McLaren at FoS is the global debut of the new 570S Coupé which will be part of the Michelin Supercar Run. 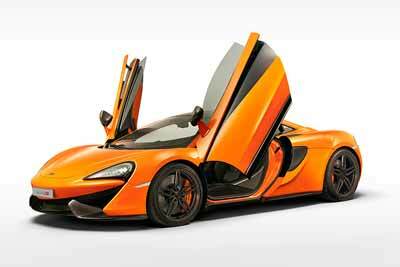 Joining it will be the McLaren P1™ GTR and 650S Le Mans, both limited in production and rarely seen in public. Following its unveil at the New York International Auto Show earlier this year, the 570S Coupé is powered by a 3.8-litre twin turbo V8 engine, producing 562bhp, the 570S Coupé joins the McLaren model line-up as the most powerful model in the recently launched Sports Series. Deliveries start later in the year. See the new 570S coupe first, catch it on the Hill and on the stage at McLaren House. The 650S Le Mans is the special edition coupé-only model built by McLaren’s Special Operations department. A collaboration with the designer of the McLaren F1 super car, Peter Stevens, that celebrates the 20th anniversary of the F1’s victory in the 24 hour race at La Sarthe. The popular McLaren House will return located as last year, adjacent to the iconic Goodwood House overlooking the Hill course, with cars, guest speakers and historic McLaren memorabilia honouring the ‘Flatout and Fearless’ theme of this year’s Festival. Historic McLaren races are represented by a number of cars on show at McLaren House. The Ultimate Series is represented by a specially liveried McLaren P1™, inspired by the patriotic French livery on the helmet of four-time Formula 1 world champion, Alain Prost. 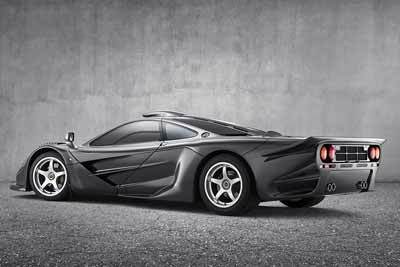 There will also be one of the rarest McLaren roadcars ever built, the McLaren F1 GT. Chassis #58F1GT is one of only three examples, designed and built to homologate the McLaren F1 GTR ‘Longtail’ for GT racing during the 1997 season. The livery echoes the famous monochrome design of the Formula 1 team during the late 1990s and driven to back-to-back world titles by Finnish racing driver Mika Hakkinen in the 1998 and 1999 seasons. Visitors to McLaren House will have the chance to be photographed behind the wheel of a McLaren 650S Spider in return for a donation of £2 to the halow project, a Guildford-based charity committed to supporting young people with a learning disability and providing them with the same life choices and chances as any other young person. The Goodwood Festival of Speed will host the worldwide debut of the new generation A-Class, with the mighty Mercedes-AMG A45 hatch, in action on the Goodwood Hill. Joining it will be the Mercedes-AMG the GT S. Racing fans won’t want to miss the MERCEDES AMG PETRONAS F1 W04 V8 Formula One car, with World Endurance Champion Anthony Davidson set to drive on the Friday and Saturday, and F1 World championship contender, Nico Rosberg on the Sunday. Mercedes-Benz are also celebrating the 60th anniversary of Stirling Moss and Denis Jenkinson Mille Miglia victory, as they took their W196S to victory in the Mille Miglia in 10 hours, 7 minutes and 48 seconds, a record never broken. Amazingly, nine of the surviving W 196 series racers, each powered by rather magnificent (and loud) straight-eight engines, will be at Goodwood, with six taking to the Hill. Peugeot‘s big Goodwood news is the world debut of the new 308GTi, developed by the French brand’s sporting arm, Peugeot Sport. Available in two states of tune, with either 246bhp or 266bhp, Peugeot claim the more powerful version sets a new record for power-to-weight ratio in its segment, at just 4.46kg per horsepower. The car can cover the 0-62mph dash in just 6.0 seconds (6.2 seconds for 308 GTi 250). 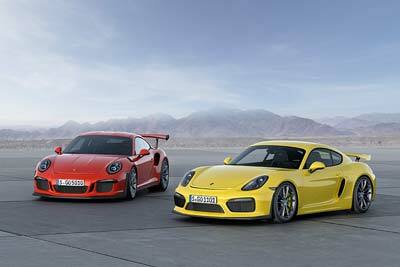 Both cars are electronically limited to a 155mph top speed. Peugeot have several significant cars running up the famous hill over the weekend. One is the 205 T16 celebrating its WRC success 30 years ago, another the 404 Diesel which 50 years ago set 40 world endurance records at the Montlhéry circuit near Paris and played a big part in establishing Peugeot as a producer of diesel engine passenger cars. On the Peugeot stand, there will be four Gran Turismo 6 pods, featuring the new Peugeot Vision GT car. Festival guests will have the chance to race each other to see who gets the best time on the Goodwood Hill, with prizes awarded to each days overall day winners. With the theme for this year’s Goodwood Festival of Speed Flat Out and Fearless – Racing on the Edge and Porsche fresh from another victory at Le Mans to weeks ago (making their tally an unrivalled of 17 outright wins at Le Mans), Porsche enthusiasts will be treated to some of Porsche’s iconic past Le Mans winners as in action on the hill. First up will be the 2015 Le Mans-winning Porsche 919 Hybrid LMP1 car (number 19), driven by Porsche factory driver Brendon Hartley, showing the crowds how a 1000 hp modern hybrid prototype performs on the twisty and narrow Goodwood hill. 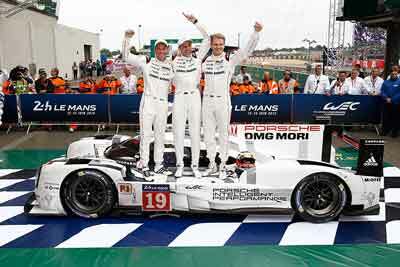 That’s not it for Porsche Le Mans winners though. The Porsche Museum in Stuttgart has provided the 1981 Le Mans winning 936/81 Spyder 1981 and 962 C which triumphed there in 1987 Le Mans winner. Both cars are part of a celebration of the career of British racing driver and Porsche legend Derek Bell MBE. 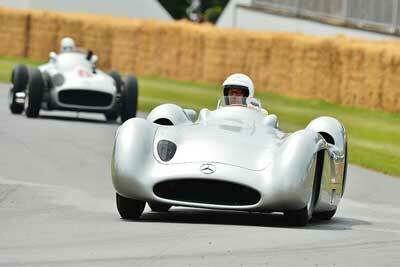 Derek will be reunited with these iconic racing cars over the weekend. As well as the racing cars, there is the chance for Porsche fans to witness UK debuts of the 911 GT3 RS, Cayman GT4 and Boxster Spyder. The Michelin Supercar Run will see the 918 Spyder, 911 GT3 RS and Cayman GT4 in action on the hill while in the ‘First Glance‘ category, the Boxster Spyder will make its UK debut alongside the 911 Targa GTS and Cayenne Turbo S.
Volkswagen is preparing to debut four new cars at FoS. These are the Sport Coupé GTE Concept, the XL Sport and the Golf R400, as well as the 2015 Polo R WRC rally car. The Sport Coupé GTE Concept, is a stylish hybrid sports coupe that made its international debut at the Geneva Motor Show in March this year and points to the next VW family look. 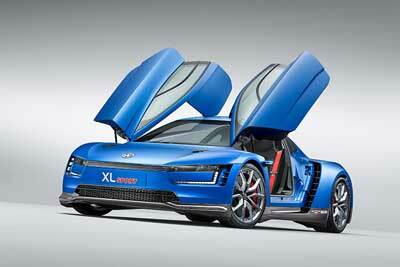 The XL Sport was unveiled at the Paris Motor Show in October 2014, developed from the ultra-economical Volkswagen XL1. However in the XL Sport guise, the car guns for performance not economy, with a 197bhp two-cylinder Ducati V2 engine propelling the lightweight XL Sport onto a top speed of 168 mph. Volkswagen’s final FoS concept if the Golf R 400, based on a standard Golf R hatchback but with extra punch (over 390bhp and 450 Nm of torque – if you want to put numbers to it). Finally for VW motorsport fans the Polo R WRC is the car that has seen action across the globe in the World Rally Championship, took the WRC crown last year and is currently leading the manufacturer and driver championships. The car’s appearance at Goodwood comes just a couple of weeks after the manufacturer secured a 1-2-3 podium finish at the Rally of Portugal.